I am a teacher with over twenty years experience in secondary education. As a Foundation Governor, I was initially elected to represent St Mary’s parish church and continue their commitment to the Parochial School. I have been a governor for over 10 years. My son is the third generation to attend the Parochial School, as did I and also my mother. The Parochial School has been a big part of my family’s life and I see it as a great honor and privilege to serve as the Chair of the Governors. I was appointed as governor by the PCC in 2009 and I am an active member of the congregation at St Mary’s Parish Church. I have over 30 years of governor experience, initially as a parent governor at my children’s primary school and then as a teacher and head teacher governor at schools where I worked across Tyneside. My grandchildren now attend Whickham Parochial. In 2012, I retired as a head teacher of a Church of England Primary School and I am delighted to bring my governor experience to the Parochial school to help, support and bring continued success across the school. I am also keen to ensure the Christian ethos and excellent relationships with St Mary’s Church are maintained and encouraged. In 2018 I was appointed as Vice Chair to the governors. I am Rector of Whickham and Chaplain to the Gibside Estate. As an Anglican priest I serve the historic parish of Whickham. The Church of England Parochial School was founded by a previous Rector of Whickham over 300 years ago and has remained under the Church’s care until the 1970’s when it became Local Authority Controlled. By virtue of being Rector, I am a Foundation Governor. However in a previous career of twenty years, I worked at a senior level within two Local Authorities managing Environmental Health Services. I am dedicated to lifelong learning and the delivery of the very best of education for all children. As well as the conventional duties associated with my present role I am charged to work with, and alongside, all members of the community for their benefit. I have good working relationship with all schools in Whickham, as I do with local businesses and local politicians. I have a good understanding of the area; its strengths and as well as its needs. I remain passionate about helping all children to achieve their full potential and have gained substantial experience from membership of several school Governing Bodies over the years. I am married to Jill and we have four children, all of which have been schooled in Whickham, our youngest is enjoying his time at Whickham School. My pastimes revolve around cycling, swimming, reading and I’m presently developing a proposal for a PhD. Though if years could be rolled back I’d still be playing rugby and running karate clubs! I have spent 2 years in the role of Parent Governor at Whickham Parochial Primary School. I currently have one child in Year 2 and another due to start in Reception in the next academic year. I have had 12 years experience as a Primary School teacher with a specialism in Early Years and I feel very fortunate to have been given the opportunity to be involved with such a special, nurturing and high achieving school. I am wholly committed to supporting Mr Armstrong and the Governing body in delivering the school’s aims and values and I am hugely passionate in my desire to help achieve high standards of education, through a fun, creative and child-centred curriculum. Education and the learning and development of young children have long been my greatest passion and I hope that my enthusiasm and experience in Primary Education will aid and support me significantly in fulfilling the role of Parent Governor.  I am also involved in the running and organisation of the Friends of Whickham Parochial Primary School, occupying the role of Vice Chair for the past 2 years and helping to raise much needed funds for our school. I have lived in Whickham for over 20 years, and I have 3 children. I always took at great interest in school life when my children were at primary school, and I can see how things have moved on and developed within the education system in only a few short years. With that in mind, I was keen, and was fortunate enough to be elected as Parent Governor at this school. The children’s social and educational development is so important, and for me to be able to be a part of a team of dedicated individuals, understanding how the school is run, and contributing to decision making is both exciting and rewarding. My background is as a Human Resources professional, having worked for a children’s charity for 25 years now. Many of the skills developed during my career can equally be applied to the role of Governor, including interpersonal skills, staff recruitment and training, budget monitoring etc. I have a particular interest in Safeguarding, having been trained to deliver Safeguarding courses, including protecting children and young people on-line. Hopefully I can use some of this knowledge and experience to help the growth of the school and its pupils in years to come. I value education in every child’s life & believe that society, the community and the education system have a role to play in educating, inspiring and delivering opportunities for children. Through my previous work, I understand the importance of educating and inspiring children at a young age, to enjoy and carry positive learnings and habits onto a higher level as they continue their journey through life. I worked in Media and Advertising for many years serving on the Associate Board of Directors for an advertising agency. I was also Head of New Business and Account Director for clients in both the public and private sectors including Educational Institutions, NHS, Procter and Gamble, L’Oreal and the BBC. It is important the school continues to build on and provide it’s best platform to develop and nourish children in an environment where they can learn, enjoy and flourish. I look forward to serving the community and supporting the school in this continued role. Originally elected as a parent governor in 2009 with 2 children at the school, who have both now left, I am pleased to continue as a community governor. Having worked as an Accountant in a number of manufacturing industries in the private sector I am currently employed as Finance Manager at a large local Northumberland based Charity. As well as contributing as a member of the Finance Committee I have a keen interest in the wellbeing of the children. This has been reinforced by my employment with the Charity with particular interest to safeguarding of pupils and prevention of any bullying. I am married with two grown up sons and five grandchildren, I have lived on Fellside Park in Whickham for over forty years. I have been a Local Ward Councillor for Whickham South and Sunniside for the past twenty years. I am also a School Governor at Cloverhill Primary, both schools for the past twenty years since I was elected onto Gateshead Council. I am a local resident whose own children have been through their primary education in Whickham. I have been a governor at Parochial for over 8 years now and started from a position of wanting to be more involved in my local community. I am particularly pleased to be involved with Parochial as it successfully combines academic strength with pastoral care. I am a solicitor by trade and work closely with a number of public sector and charity sector organisations, including an education team in a local authority. I try to bring my experience in these areas to my role as a governor. I also help out with the finance sub-committee on a regular basis and do ad hoc work when requested by the school. Having moved to the North East with my husband’s work in 1964, I have lived in Whickham ever since. Both of my daughters attended the Parochial School. I am a teacher by profession, having worked in schools within the area until my retirement. 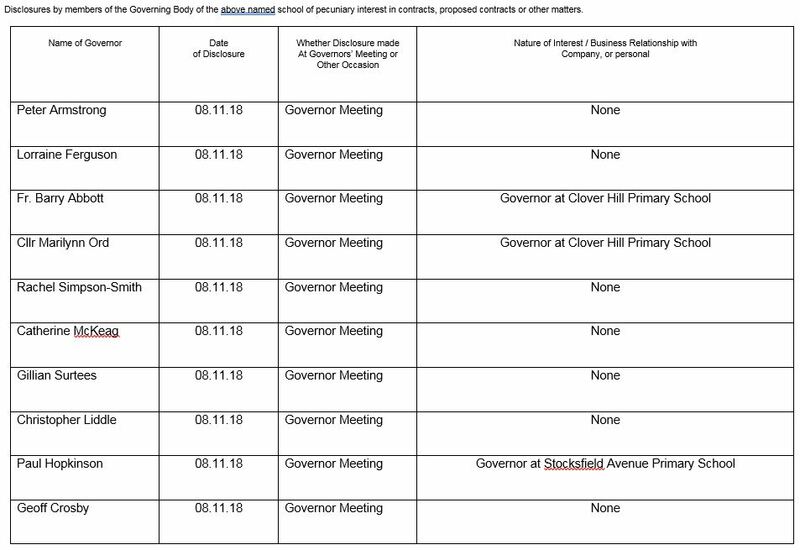 Already being a school governor at Park Lane, Gateshead MBC asked me to accept a governor place at the Parochial School as they wanted someone committed to St. Mary’s Church. 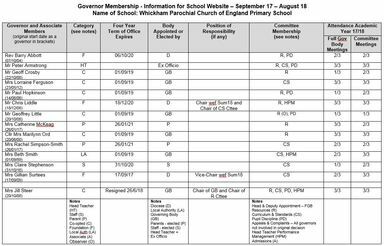 This was then followed by a request to join Washingwell as governor, and I have served both schools for many years, including in the positions of Deputy Chair and Chair. I am a regular worshipper at the Parish Church serving for many years as Admin Assistant to the PCC, and for over 20 years in the running of the ‘Play and Praise’ for pre-school children. I have many other interests, and I am a keen volunteer, including in Swalwell’s Credit Union, the Food Bank depot and the Emmaus Community in South Shields for the homeless.